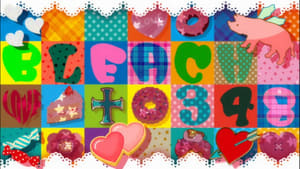 Episode 343 - 3rd Year High School Student! Dressed up, and a New Chapter Begins! Seventeen months after the defeat of Sōsuke Aizen, Ichigo Kurosaki has been living in peace as a third year high-school student. On the way home from school, Ichigo incapacitates a thief and returns the stolen bag to its owner. 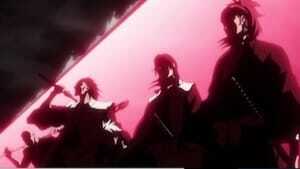 The next day, the thief and his gang seek out Ichigo at his school and are confronted by Uryū Ishida. 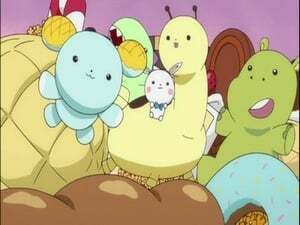 Elsewhere, the owner of the stolen bag meets with his friends revealing he has found Ichigo. Episode 344 - A Dispute in School?! Ichigo and Uryuu, Fight Together! Ichigo and Uryū dispatch the gang with ease but are interrupted when Ichigo's part-time job boss kidnaps and forces him to work. 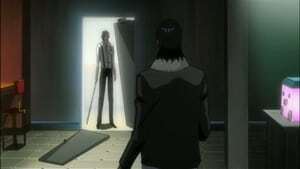 Their client, the owner of the stolen bag, requests an investigation on Isshin Kurosaki, Ichigo's father. Ichigo declines but is intrigued when the owner reveals his younger sister, Karin Kurosaki, had been visiting Kisuke Urahara. The owner introduces himself as Kugo Ginjo and gives Ichigo a Xcution business card. 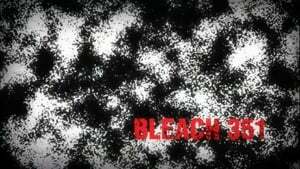 Uryū, passing by Ichigo's house, pursues a strange man and is critically injured as a result. Episode 345 - Uryuu is Attacked, A Threat Draws Near the Friends! 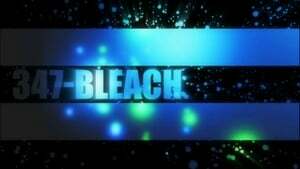 While walking at night, Ichigo decides to forgo his past and throws his Substitute Soul Reaper Badge into the river. Later, he hears from Orihime Inoue that Uryū is in the hospital. At the hospital, Ryūken Ishida sends Ichigo home and reveals to Orihime the assailant was a human with powers and cautions her to be careful. 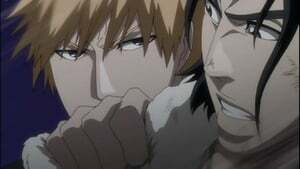 The next day, Ichigo's friends, Keigo Asano and Mizuiro Kojima, are attacked by the thief whom Ichigo had stopped prior. Ichigo saves them and meets Ishida's assailant who flees when Ryūken arrives. 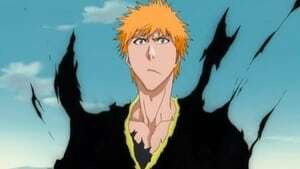 Ichigo realizes he is being excluded from information due to his lack of powers, and decides to contact Xcution. After contacting Ginjo, Ichigo is lead to the Xcution headquarters and learns its members posses the ability dubbed as Fullbring which allows them to manipulate the souls of inanimate objects. The cause of the power are residual reiatsu left by Hollows who attacked their pregnant mothers. Yasutora Sado, who had been missing, appears at the headquarters shocking Ichigo. Ginjo reveals Xcution plans to restore Ichigo's Soul Reaper powers in order to rid themselves of their Fullbring abilities. Ichigo declines stating he is only seeking information his family and friends are hiding from him. Episode 347 - A Creeping Danger in the Kurosaki Family?! Ichigo's Confusion! Ishida's assailant stabs an incomplete hollow and asks for its cooperation. Ichigo returns home and resumes his life. 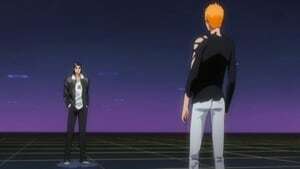 Chad attempts to convince Ichigo to accept Xcution's offer stating that Ichigo himself wants the power to protect his loved ones. While walking through town, Ichigo sees Ishida's assailant and pursues him but runs into his sister, Yuzu Kurosaki, on the way. The hollow attacks her Ichigo and are saved when Ginjo dispatches it. 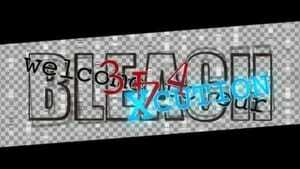 As a result, Ichigo returns to Xcution and accepts their offer and Ginjo returns Ichigo's Substitute Soul Reaper Badge. Episode 348 - Power of the Substitute Badge, Ichigo's 'Pride'! Ichigo begins training to regain his Soul Reaper powers at the Xcution's hideout. His first training is to fight and win against Mr. Pork, an opponent created by Riruka's Fullbring power "Dollhouse". Episode 349 - Next Target, The Devil's Hand Aims at Orihime! On her way home from school, Orihime is suddenly stopped and asked to die by a man named Shishigawara. Confused at first, Orihime quickly realizes that Shishigawara may be related to Uryu’s attacker, and prepares to fight. Tsuskishima pretends to impale Orihime's chest and leaves her. Although Orihime suffered no cuts, she starts having a vague idea that Tsukishima was her friend. Unwilling to worry Ichigo about what happened, she only tells Chad about Tsukishima. Aware that Orihime is hiding information from, Ichigo goes back to to Xcution headquarters to continue his training to help his friends. 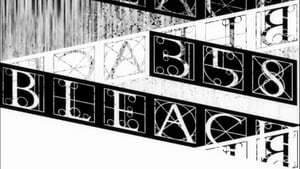 Episode 351 - Fullbring, The Detested Power! Ichigo continues his fullbring training, but desires to actually battle one of the members of Xcution. Kugo suggests that Jackie Tristan be his opponent, but she refuses and storms off. Meanwhile, Tsukishima sends Shishigawara to tail Chad and while Chad is wary of his presence, no attack on him is attempted. Later, Jackie decides that she will fight Ichigo in a fish tank of Riruka after seeing him pass the next part of his training. She fully introduces herself, activates her fullbring Dirty Boots and proceeds to attack a surprised Ichigo. Episode 352 - Tsukishima Attacks! The Training Has Been Thwarted! Ichigo continues his training with Jackie Tristan. 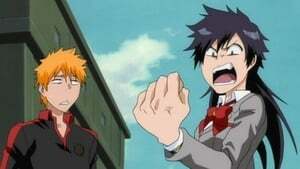 While at first Jackie overwhelms him with her more experienced powers, Ichigo is able to activate a power of Fullbring known as Bringer Light to gain the advantage. 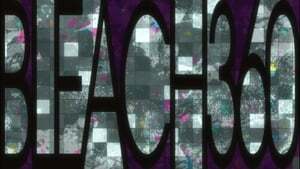 As they go on with the battle, Ichigo's powers go out of control, but insist that he can still fight despite Jackie's insistance that they stop. It is then that Tsukishima attacks Xcution wanting to kill Ichigo, but Ichigo uses his powers to break the fish tank and reveals the next stage of his Fullbring. 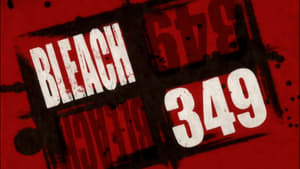 Episode 353 - Ichigo, Mastering the Fullbring! Tsukishima, wanting to kill Ichigo Kurosaki, proceeds to battle against him and Xcution. While trying to master fullbring, Ichigo is taken to a world created by Fullbringer Yukio where he will come face to face with the defacto leader of Xcution: Kugo Ginjo. Episode 355 - Shinigami at War! 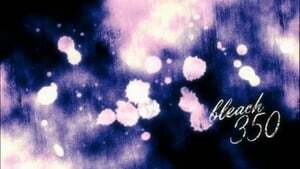 New Year in Seireitei Special! During the 17-month time skip, the Soul Reapers of the Soul Society celebrate the New Year told within 2 stories. The first deals with Izuru Kira organizing a special event given to him by Shuhei Hisagi. At first he is reluctant to participate, but changes his mind after Momo Hinamori's interest in it. The event he comes up with is friendly kite flying which slowly turns into a fight between women & men and Squad 2 & 11. Kira attempts to stop the chaos fail and he falls into Squad 1's barracks, angering Head Captain Yamamoto. The second deals with Rukia as she prepares for an upcoming ceremonial dance her sister had been in many years ago, but is unimpressed with her dancing abilities. 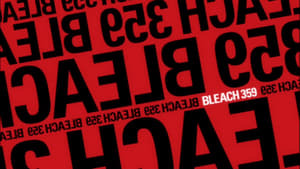 Renji Abarai decides to help her out, but Rukia is unable to deiscern what he is trying to do to actually help and when Renji accidently spills ink on the ceremonial kimono, Rukia angrily tells him to leave. However, after Byakuya gives Rukia her sister's kimono instead, she realizes that Renji was trying to make sure Rukia had some fun which would allow her to enjoy dancing instead of worrying about it. Rukia apologizes to Renji through a letter and he is able to come to the dance which turns out tio be a huge success. Episode 356 - Foe or Friend?! Ginjo's True Intentions! Ichigo continues his training with Kugo Ginjo while Orihime heals him. Yet, when Kugo blinds him and starts to say antagonastic things to make Ichigo angry, Ichigo begins to doubt Kugo's true intentions. Episode 357 - Tsukishima's Ability, the Danger is Drawing Near! 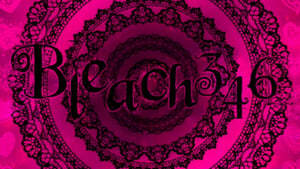 After Ichigo achieved the final level of Fullbring, he spends his time perfcting it. Meanwhile, Chad and Orihime investigate Tsukishima, but end up way in over their heads. After putting the finishing touches on his plan, Tsukishima activates the Fullbring he placed on Ichigo's friends and family in order to make them believe that Tsukishima is a close relative of the Kurosaki family. Kugo also has problems of his own as the other members of Xcution have fallen under Tsukishima's control. Episode 359 - The Sorrowful Battle! Ichigo vs. Sado & Orihime! While contemplating what to do next concerning Tsukishima's Fullbring, Ginjō and Ichigo are found out by Yukio and brought to Tsukishima. Once there, they are led up to the room where all of the people that were affected by Tsukishima's Fullbring are waiting for them. Unable to fight with all of them in the crosshairs, Ichigo runs away to a safer location but is stopped by the brainwashed Xcution. 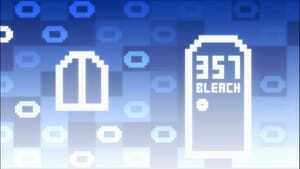 However, Kugo destroys the staircase and takes on the others himself while Ichigo fights Tsukishima. He is able to gain the upperhand with his Fullbring and severely injures Tsukishima's arm. However, Orihime and Chad (Who are also affected by Tsukishima) arrive and stop him from finishing Tsukishima off. Surprised by their sudden arrival, Tsukishima comes from behind and hits Ichigo through the wall. Episode 360 - Ichigo vs Uryu?! Who is the Traitor?! Ichigo continues his battle with Tsukishima, but is unable to hurt him without fighting against Orihime and Chad who believe he has gone crazy. Meanwhile, Kugo contnues his battle with Xcution, but runs into trouble when Moe Shishigawara arrives and activates his Fullbring, Jackpot Knuckle. Unable to fight back, Ichigo is overwhlemed by Tsukishima and is about to be hit by his Fullbring when Kugo takes the hit instead. Ichigo believes its all over, but Kugo is unaffected. They're about to continue the fight when Uryu arrives. Ichigo wonders if he is affected by Tsukishima's Fullbring, but Uryu claims he is not and says that it was Ginjo who attcked him. Before he can react, Ichigo is struck down by Kugo who starts to laugh maniacally. Ichigo realizes that Kugo was affected after all, but Kugo says he is half right. He was hit by Tsukishima twice to return to his original self and stabs Ichigo with his sword and says he will take his Fullbring. Episode 361 - A New Appearance! The Gotei 13 Arrives! Episode 362 - Revival! Substitute Shinigami: Ichigo Kurosaki! 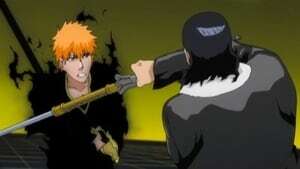 Ichigo continues to fight Kugo Ginjo with his new Soul Reaper powers, overpowering him. He then learns that he regained his powers thanks to all the captians and lieutentants giving him a piece of their own powers. Then, Ginjo reappears and Hitsugaya reveals that he was the first Substitute Soul Reaper. Meanwhile Orihime and Chad rush to Ichigo and are confused as to why he and the other Soul Reapers are fighting Ginjo. Tsukishima appears behind them and tries to break their minds by adding new memories to their past. Urahara and Isshin knock them out. 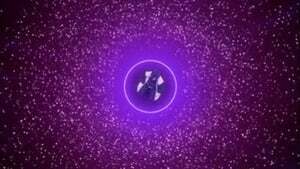 The other members of Xcution are given new powers of their own. Ichigo attempts to take them down, but Yukio uses his new powers to protect themselves and separate the others. Kenpachi quickly takes care of Giriko and cuts him in half, killing him instantly. 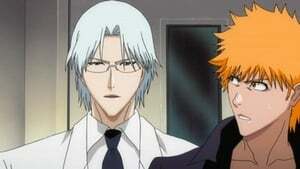 Uryu comes to assist Ichigo in his battle against Ginjō. Byakuya Kuchiki prepares to start fighting Tsukishima while Riruka ambushes Rukia using stuffed animals. 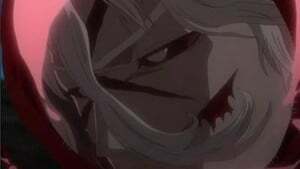 Renji Abarai encounters Jackie and defeats her without the use of his zanpakutō, having increased his powers to be at Aizen's level. As Yukio then attempts to destroy the dimension where Renji and Jackie are situated, he is confronted by Hitsugaya. Hitsugaya manages to capture Yukio and attempts to force him to free his comrades. Meanwhile, Ikkaku Madarame confronts Shishigawara, managing to find his Fullbring's weakness and overpowering him.